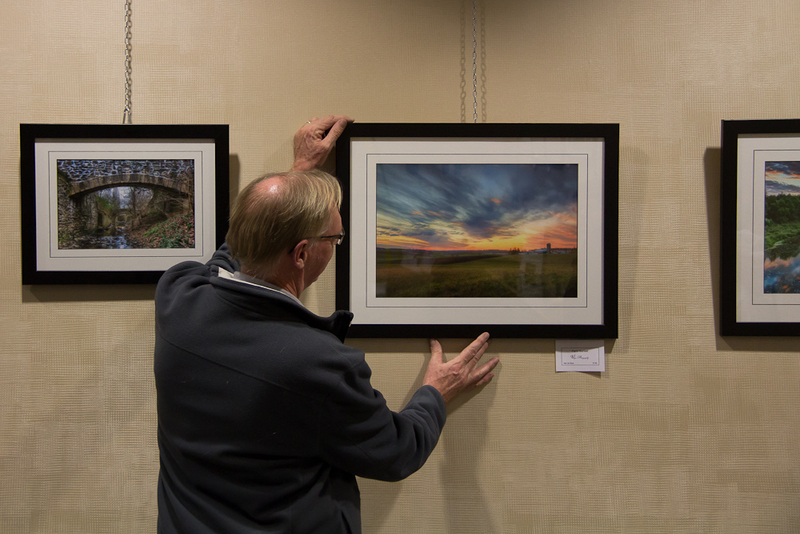 Last night was the opening of my photo exhibit at the Woolwich Township Hall in Elmira. Thanks to all that came out and for your generous comments. 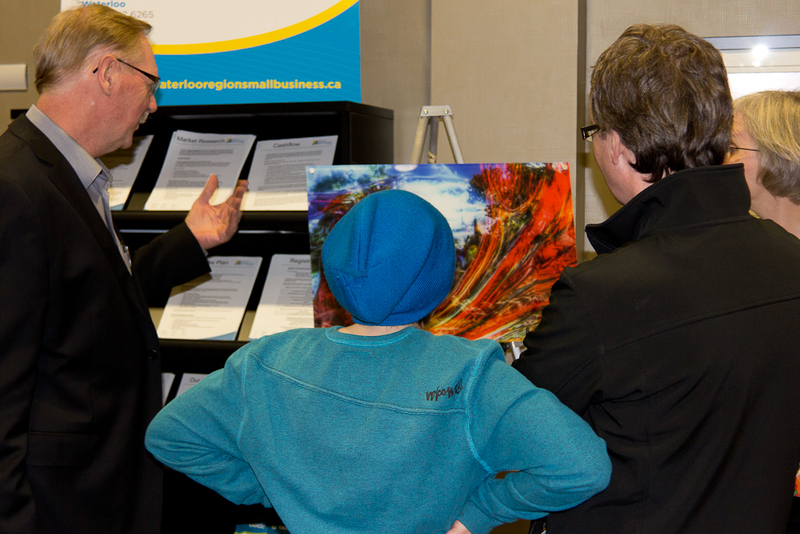 The show will be on display till the end of January so let your friends know there is still time to see it. This photo will be part of my first solo exhibit taking place Friday November 16th at the Woolwich Township Hall, 24 Church St. Elmira. Come out between 5:30 and 9:30 pm. 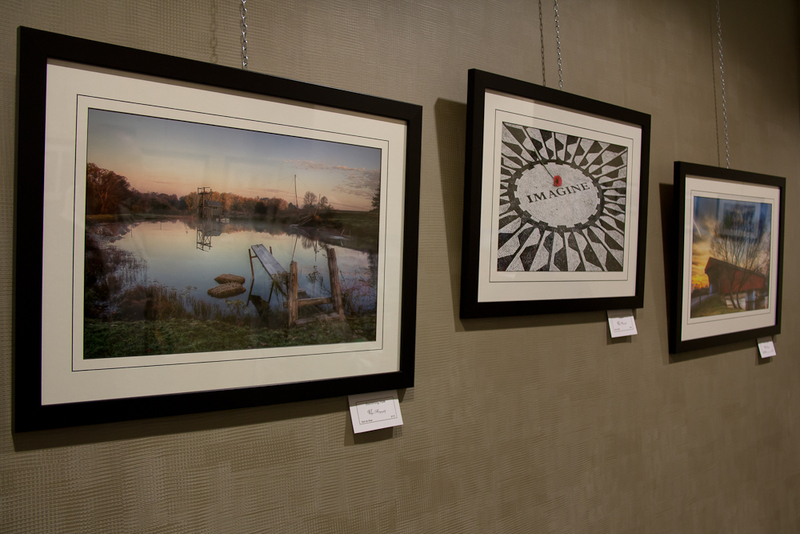 There will be 21 prints on display. Refreshments and snacks! Looking forward to seeing you! 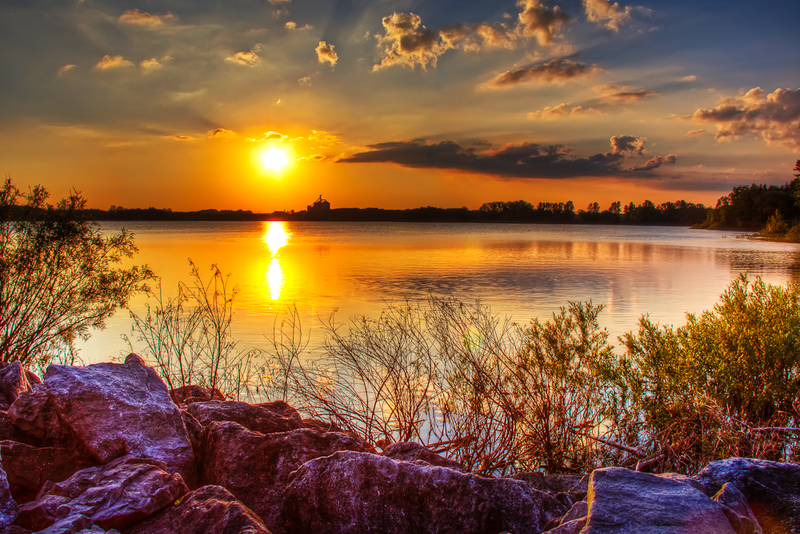 I can’t decide if I like this sunset shot or not. I think it is because of the conflicting messages it gives. You have a nice peaceful sunset broken up with the chaotic branches of the trees and then there is the strong lines of the bridge structure. At least it makes you think. Art should do that sometimes. What do you think? 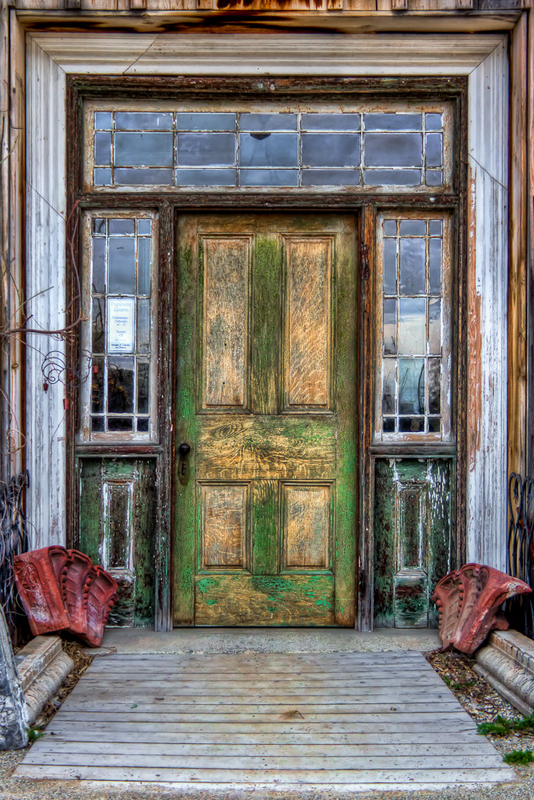 It may be rough and worn but it is still doing it’s job as the front door to a business in St. Jacobs called Artefacts. 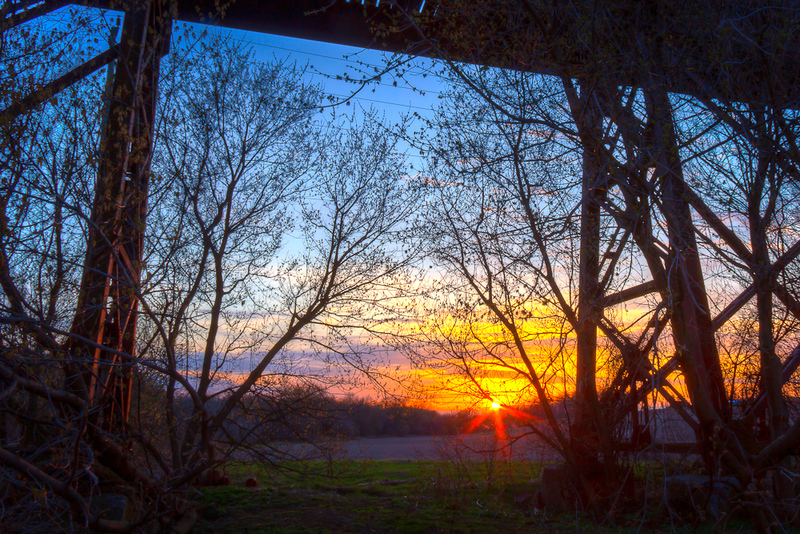 I found this shed behind a burn out farm house in Elmira. It’s at the same place as the love seat I posted earlier. 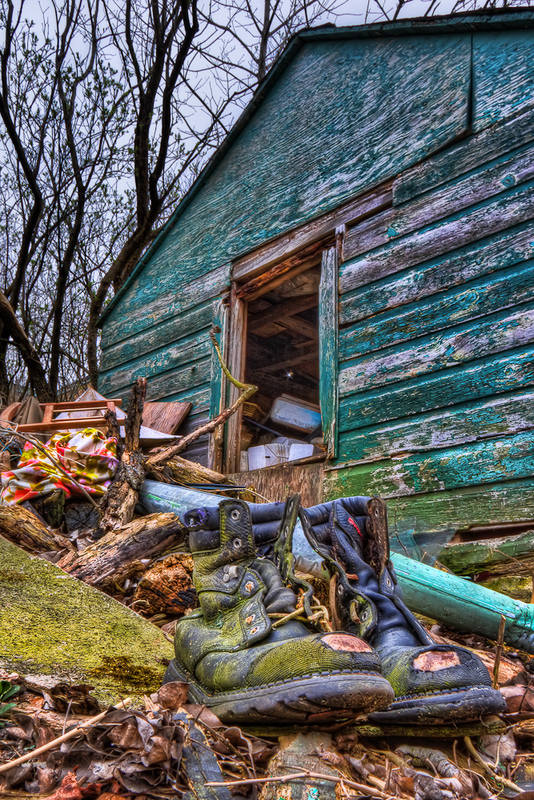 Amongst the chaotic pile of junk sat these old boots neatly placed as if someone had taken them off – carefully set them aside and went and sat on the old love seat. Now these lost souls wait patiently for their owner to return.